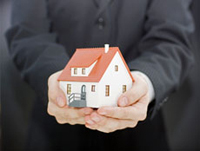 Bridge City Property Management, Bridge City Property Managers, Bridge City, TX Property Management Companies. Bridge City got its name from the fact that one has to cross a bridge to enter the city. Out of the three major roads that enter Bridge City, Chemical Road, SH 87, and F.M. 1442 - all of them cross a body of water. SH 87 crosses the Neches River and Cow Bayou - Cow Bayou on the Orange side and the Neches River on the Port Arthur side. Chemical Road crosses a branch off of the Sabine River and Cow Bayou. F.M. 1442 crosses a small creek off Cow Bayou between F.M. 105 and the Bridge City City limits. F.M. 1442 also crosses Cow Bayou just north of Orangefield and south of Interstate 10.